I am officially breaking (nearly) a YEAR of silence! Ta-da! “Freak Love” is the end result of a music sharing process that transformed into a playlist of classic slow jams and more contemporary genre-bending synth-soul that is sure to put you in the mood. 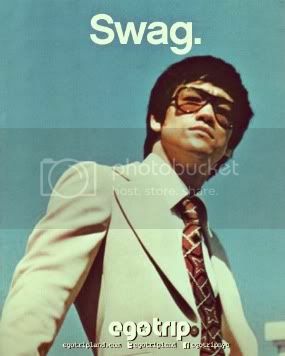 Yeah, that mood. Whether you have a boo or not, it’s two hours of tunes that will have you ready to bounce, cuddle and get your freaky on. And while I have absolutely no expertise in DJ mixing, this is my best attempt at audio editing in the recent past. Don’t expect any creative transitions or precise technical beat-matching…yet. The perks of having DJ homies is that they generously donate their time and wisdom to gaming me up on the appropriate Software. There will be more mixes to come with more tricks up our sleeve. If you enjoy what you hear, spread the love! Bodega Vendetta is a sonic collaboration between Marcus Warmington (Brooklyn, NY) and Isa Nakazawa (San Francisco, CA). These two music enthusiasts have joined forces with the intent of curating soul soothing sounds that straddle across coasts. 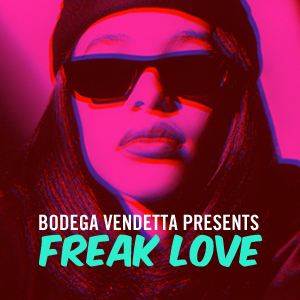 “Freak Love” is their debut mix designed explicitly as a soundtrack for cuffing season. I dig this! This sounds so smooth. Came here by way of Wesconnect. The site keeps getting better.